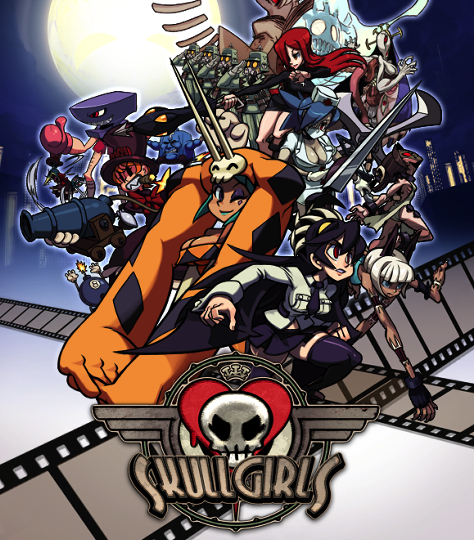 Skullgirls , the award-winning 2D fighting game from Autumn Games and developer Reverge Labs, will be available today on PlayStation® Network for the PlayStation®3 computer entertainment system in the Americas, and arrives Wednesday, April 11 on Xbox LIVE® Arcade for the Xbox 360® video game and entertainment system from Microsoft in the Americas, Europe, and Australia/New Zealand. Fighting game fans can download Skullgirls for $14.99 on PlayStation Network or 1200 Microsoft Points on Xbox LIVE Arcade. The game will be available on PSN in Europe and Australia/New Zealand in the coming weeks. More tournaments will be announced in the coming weeks and additional details on upcoming tournaments can be found on the official Skullgirls website by visitinghttp://skullgirls.com/2012/04/skullgirls-tournaments/. Fighting game fans looking for Skullgirls swag can head to the game’s online store athttp://shop.skullgirls.com. In celebration of the game’s launch, Autumn Games is offering free shipping on all orders of more than $49.99 shipped within the U.S. The online store, where fans can purchase merchandise including t-shirts and home goods, allows fighting game buffs to customize their own Skullgirls gear using a library of 2D art drawn by Ahad. Pre-designed items also are available. International shipping is available by signing up for a free account withBorderlinx. Sign up to receive Skullgirls news at http://www.skullgirls.com, become a fan on Facebook or follow@Skullgirls on Twitter for game updates, exclusive artwork and more. Members of the press can download assets, including the latest trailers, screenshots and other artwork from the game, by visiting Autumn Games’ page on GamesPress here:http://gamespress.com/publisher.asp?c=6%1CIY. Skullgirls is rated T for teen by the ESRB. Visit http://www.esrb.org for rating information.